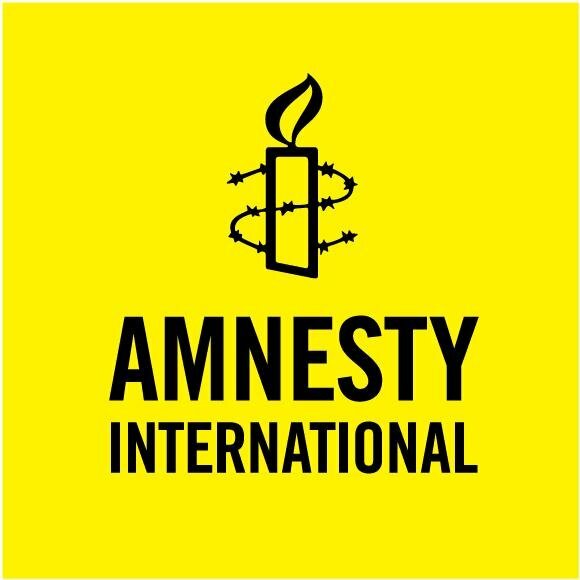 As the world marks the International Day of the Victims of Enforced Disappearance, human rights NGO Amnesty International calls on governments across South Asia to deliver long overdue truth, justice and reparations to the families of thousands of people who have been forcibly disappeared, some of them decades ago. Enforced disappearances have scarred communities across South Asia, where in some countries this heinous crime is still persistent while others have failed to deliver on promises of truth, justice and reparations for the thousands who were wrenched away from their loved ones. “Enforced disappearance is one of the worst human rights violations. People are wrenched away from their loved ones by state officials or others acting on their behalf, who then deny the person is in their custody or refuse to say where they are. Families are plunged into a state of anguish, desperately trying to keep the flame of hope alive while fearing the worst. They may be trapped in this limbo for years, even decades,” said Biraj Patnaik, Amnesty International’s South Asia Director. People who are forcibly disappeared are at grave risk of torture and even death. Enforced disappearances are a tool of terror with a devastating impact that strikes not just individuals and their families, but entire societies leaving scars that are very difficult to heal. This is why they are a crime under international law, and if committed as part of a widespread or systematic attack directed against a civilian population, they constitute a crime against humanity. More than four decades of armed conflict in Afghanistan has left tens of thousands without news of the fate or whereabouts of their loved ones. Tens of thousands were forcibly disappeared when the People’s Democratic Party of Afghanistan seized power in the late 1970s. Enforced disappearances remained a constant feature of the Soviet invasion that followed, the civil war that ensued after the Soviet retreat and under the Taliban’s rule. Enforced disappearances sadly continue to this day in Afghanistan. Instead of reckoning with this haunting past and granting truth, justice and reparations to all these victims, the Afghan government has failed to ratify the International Convention for the Protection of All Persons from Enforced Disappearance even as people continue to be snatched from their families by the authorities. Since 2013, the Bangladeshi authorities have been responsible for hundreds of enforced disappearances. According to a recent report by Human Rights Watch, 90 people were forcibly disappeared in 2016 alone. Most of these cases were short-term disappearances, with the individual presented in court weeks later after the abduction. However, 21 people were later found dead, and nine people remain unaccounted for. The victims have mainly been members of the political opposition, but the authorities have not launched credible investigations to search for those who remain disappeared and bring all those responsible to justice. In India, reports of enforced disappearances are largely from areas declared “disturbed” under the Armed Forces Special Powers Acts (AFSPA), like Kashmir and Manipur. According to a report published by the International Commission of Jurists (ICJ) in 2017, around 8,000 enforced disappearances have been reported in Kashmir during the period 1989-2012. It also mentioned that enforced disappearances were common in Manipur and other states in the North East of India in the 1980s and 1990s. India has not made enforced disappearances a specific criminal offence in its penal code. As a result, families of the “disappeared” have to file complaints under general provisions of Indian criminal law. Despite signing the United Nations’ International Convention for the Protection of All Persons from Enforced Disappearances in 2007, India is yet to ratify the Convention. Four years ago, Ahmed Rilwan, a blogger and a reporter for the Maldives Independent newspaper was abducted by unidentified assailants from outside his home. There has been no news of his fate or whereabouts since amid fears that he may have been taken into the custody of the state. In 2012, Rilwan received death threats for reporting on the attack on blogger Ismail Hilath Rasheed, who was stabbed and wounded. In the face of protests sparked after his disappearance, the authorities arrested four suspects in September 2014. The following month, two of the suspects were released. In August 2018, a criminal court in the Maldives acquitted two men accused of kidnapping Rilwan. The President of the Maldives, Abdulla Yameen, callously remarked that Rilwan was “undoubtedly dead” before walking back his comments the next day. To this day, the fate and whereabouts of Rilwan remain unknown. During the more than decade-long conflict, more than 1,300 people were forcibly disappeared. The United Nations estimates that more than 250 people were forcibly disappeared from a single district. The government has established a Commission of Investigation on Enforced Disappearances, which finally began receiving information in 2016 and has collected more than 3,000 complaints. However, due to limitations on its mandate and persistent political and resource constraints, the commission has not been allowed to function effectively to uncover the truth and determine the fate and whereabouts of victims of enforced disappearance. Over the past two decades, Pakistan has seen perhaps thousands of people forcibly disappeared by the authorities. 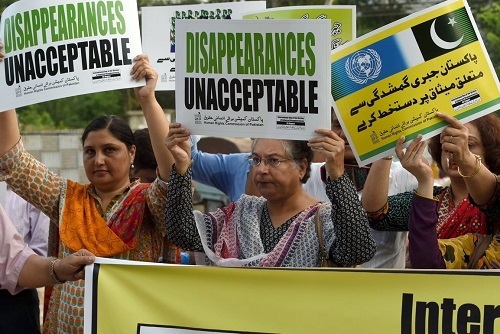 The UN Working Group on Enforced or Involuntary Disappearances has more than 700 pending cases from Pakistan, and Pakistan’s State Commission of Inquiry on Enforced Disappearances has received reports of hundreds more, from across the country. People who have been forcibly disappeared include bloggers, journalists, students, political activists, human rights defenders, members of religious minorities, and suspected members of armed groups. Once confined to the restive provinces of Khyber Pakhtunkhwa and Baluchistan, cases of enforced disappearance now strike deep into Pakistan’s heartlands and its main cities. Since the 1980s, Amnesty International estimates there have been at least 60,000 and as many as 100,000 cases of enforced disappearance in Sri Lanka. The victims include Sinhalese young people who were killed or forcibly disappeared by government death squads on suspicion of leftist links in 1989 and 1990. They include Tamils suspected of links to the LTTE, disappeared by police, military and paramilitary operatives during the conflict from 1983 to 2009. And they include human rights defenders, aid workers, journalists, government critics, and prominent community leaders. Despite international commitments to end impunity for enforced disappearance, the authorities have failed to investigate these cases, identify the whereabouts or fate of the victims, and prosecute those suspected of the crimes.